The new CTRL Case DDJ-SR2 is specially designed to protect the new Pioneer DDJ-SR2 and DDJ-RR & DDJ-SR unit. Crafted from durable and lightweight Durashock molded EVA foam and a water- rejecting polyester exterior, it is furthermore equipped with an adjustable (velcro) foam-kit that provides extra protection for all encoders, knobs and buttons. Considering purchasing the Magma CTRL Case Pioneer DDJ-SR2 / DDJ-SR? Have questions? Ask people who've recently bought one. 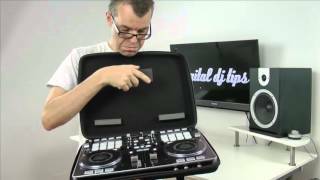 Do you own the Magma CTRL Case Pioneer DDJ-SR2 / DDJ-SR? Why not write a review based on your experience with it. Just what I need to transport my controller safely between gigs. 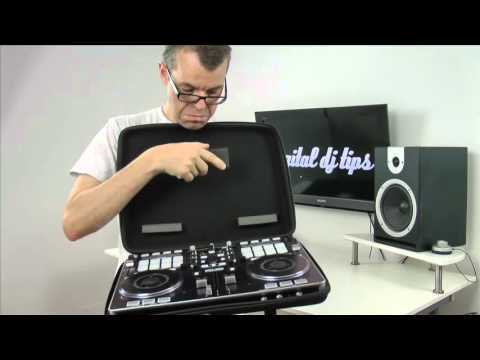 Seen a video for Magma CTRL Case Pioneer DDJ-SR2 / DDJ-SR online or have you own video? Check out Magma CTRL Case Pioneer DDJ-SR2 / DDJ-SR on DJkit.com!